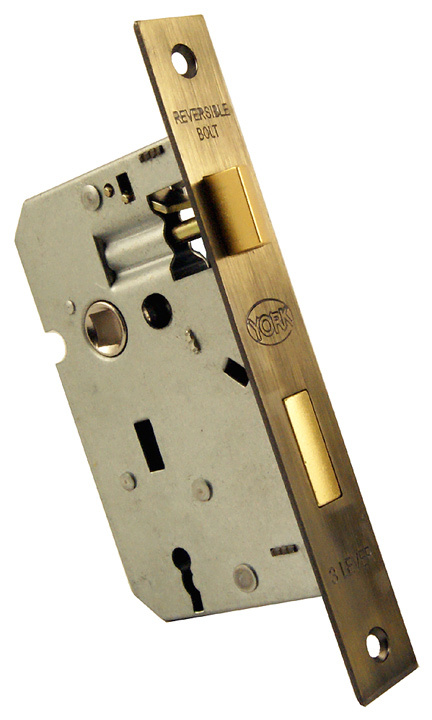 A lockset is a term used to describe a lock supplied complete with the lock furniture. The requirements of the door application would determine the type of lock and lock furniture required. The image below shows a sashlock and lock furniture with a keyhole in the back plate. These two items used together would make a lockset. A sashlock is fitted into the leading edge of a door and is operated by using a key. Door handles with a keyhole in the back plate would be fitted to the face of the door and used in conjunction with the sashlock. The lever operates the latch part of the lock and the key operates the deadbolt part of the lock. This lockset would be used on doors that are required to lock with a key. The image below shows a bathroom mortice lock and bathroom furniture with a turn and release function. These two items used together would make a lockset. The bathroom mortice lock is fitted into the the leading edge of the door. 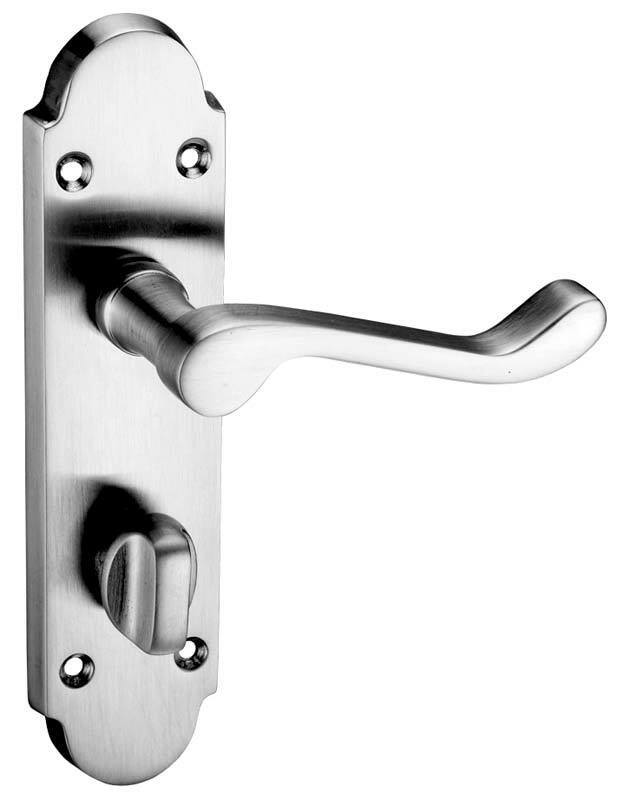 The latch part of the lock is operated by the lever handle, the deadbolt function is enabled by rotating the turn button which is attached to the release on the opposite door handle by a 5mm spindle which passes through the lock. This type of lockset would be used on doors where privacy is required. 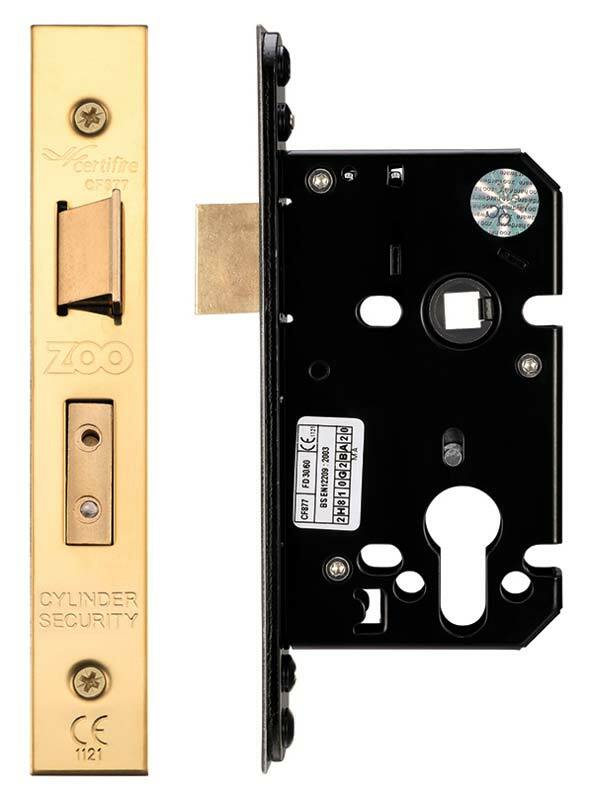 The image below shows a euro profile cylinderless mortice sashlock and euro door furniture with an enlarged keyhole cut out in the back plate to house a euro profile cylinder. 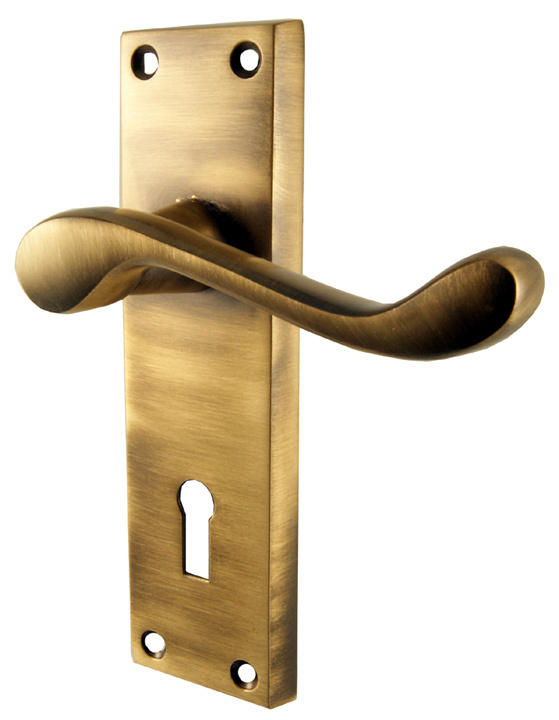 The euro sashlock is fitted into the leading edge of the door. The latch part of the lock is operated by the lever handle and the deadbolt function is operated by either a key or turn on the euro cylinder. 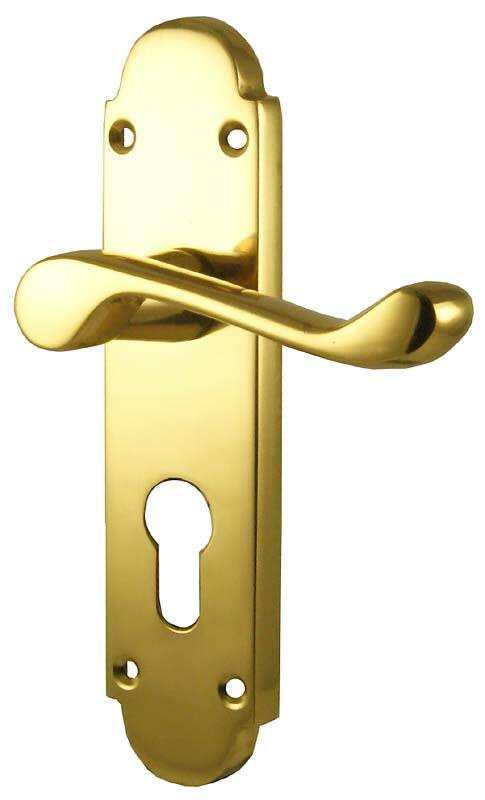 The euro cylinder is purchased separately and is dependant on level of security, finish, door thickness and function, ie key and turn or keyed both sides. 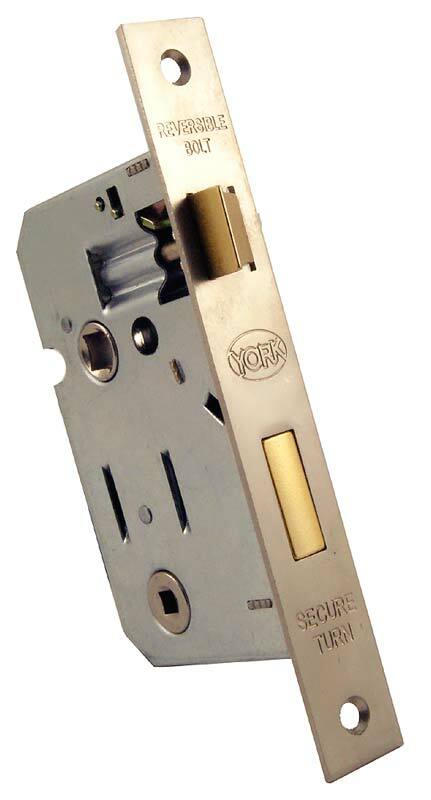 This type of lockset could be used on doors that are required to lock with a key or doors where privacy is required using the cylinder and turn option.